Amorgos is one of the highlights in the Aegean sea, together with Santorini and Paros it clearly makes up the top three of most must-see Cycladic islands. 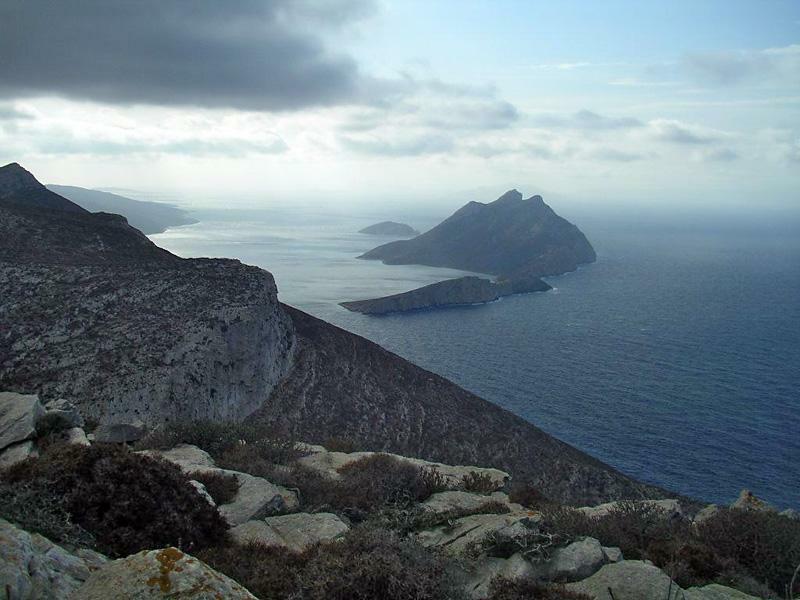 Moreover, Amorgos is well off the beaten track and much less frequently visited by ferries than the other two oasis of cultural and natural beauty. Besides the ports of Katapola and Aegiali there are breathtaking anchorages in the fjord cove (near the northwest tip), behind Nikouria island, in Kalofana Bay and Akrotiri Bay. The cliffs along the north coast are a 800 metres vertical wall and you will have to sail here in the early morning since during most of the day the cliff faces are in the shade - even more formidable. Then in the east - roughly in the middle of this elongated island - you will see the famous monastery of Hozoviotissa (Chozoviotissa). An actual visit is best arranged from the port of Katapola by either bus or taxi. In the calmest of weather you could attempt to anchor off a beach a few hundred metres south of the Hozoviotissa Moni, but best not to leave the yacht unattended. Ship wreck bay is further south. The island itself offers no charter base for a bareboat holiday but the nearby islands of Syros, Paros, Kos and Samos have full bases with all the options. Furthermore, Amorgos is well in reach out of Athens or Lavrion if your bareboat charter is more than 10 days, preferably 2 weeks. But - as my bareboat charters guide explains - Parikia port on Paros island is the obvious choice since also close to Santorini, Anafi and other highlights such as Folegandros island and Sifnos island. Also, don't forget the lovely islets south of Naxos island, notably: Iraklia, Skinoussa, Karos and Koufonisia, often dubbed the Little Cyclades.